DemandJump’s customer acquisition platform enables marketers to find and target new customers with precision by locating qualified traffic three steps before they reach you and more importantly, your competitors, across channels. Work for DemandJump Traffic Cloud™? Learning about DemandJump Traffic Cloud™? "DemandJump Traffic Cloud - Software Review"
I like the conversion path and marketing touch-points that Traffic Cloud offers the best. It really allows us to quickly get a better understanding of what steps a customer took to make a sale occur. Some of the GUI is a little unpolished but that is a very small complaint as the software is still newer and the developers are aware of small issues and addressing them in a timely manner. Most of the data can be gathered from other sources but Traffic Cloud makes it easy to use by organizing it in one convenient location. Getting a better idea of conversion paths would be the main problem the Traffic Cloud has solved for us. Having been a frequent user of Google analytics, DJ's Traffic Cloud easily trumps it. The home dashboard alone tells me double what I'd get from an average Google Analytics dashboard. The user interface is intuitive which is great for a user like me who is far from an analytics or statistics master. Everything I want to know is laid out right in front of me on the home dashboard, and I can easily access any additional info with the simple menu. Honestly, there's not a much to dislike about this platform. I guess I could say I wish it were open to the public without being a DemandJump customer. That being said, you get what you pay for! The content search/filter dashboard is priceless. It's perfect for us to develop our social and blog content without having to scour the internet for ideas. "Working with DemandJump has changed Dometic's view on digital marketing. " The dashboard is very user friendly, and it was very easy to set up with the DemandJump team. The Social Influencer Search is not working on the platform yet. This tool has been a major update for our team over what we were doing in Google Analytics. Since we have started using DemandJump Traffic Cloud we have a much better idea of who is coming to our site, and how the outside temperature has an affect on our web traffic. We are an outdoor company so it is interesting to see how temperature has such a major impact. "Easy to use and Great customer support"
The ease of use and that it combines so much information/data into one place. Customer service that is provided to help you get started and to address questions. Leverage the knowledge and experience of the DemandJump team to get started and to understand all of the features. Used it to monitor performance of mutliple activities and to then design and update campaigns for our brands/businesses. The Dashboard is extensive and gives me all of the options and info needed for a quick view or a deep dive. The recommended influencers is a unique way to present influencers in our sphere of influence that was unavailable before. No issues as of yet. There are multiple layers to go through, so we are still learning new elements daily. You can't go wrong with this product. The Webpage Detail Report is one of the most useful analytical tools that we have seen in years of working in this industry. It helps us to monitor a ton of data concerning our website traffic in one bird's eye view. "One-Stop Shop for Data Analytics"
The ability to consolidate data analytics channels into one dashboard. Rapid expanse into new data management territories. That the future innovations in process aren't available to me already. Not really a negative; I'm just looking forward to using a certain product that I know to be in the works. Business intelligence around customers, competitors, and how we can manage our in-house capabilities. "Great to see everything in one place!" Traffic Cloud pulls all vital information into one location and makes it easy to digest. I would really like the ability to add competitors to my dashboard without asking DJ to do it for me. Check out the demo to get a better understanding of how it will help you. Before we had Traffic Cloud we were relying on gut instincts about what our competitors were doing. We can now make informed decisions. I like that the DJ team work with you and personalize the platform to your needs. In that way, they grow alongside you the longer you use it (like your barber). You'll need to have at least one call with them to get the hang of it, otherwise you won't get the full benefit. They're cool, though, don't worry. I use DJ to help shape our marketing content. "Extremely Valuable Tool // World Class Service"
It's easy to get the data I need to make the informed decisions I was not able to retrieve from Google Analytics. Furthermore, it's no "data overload" and contains the data I need - when I need it. I don't have much I would change with the DemandJump platform that they have not already incorporated from conversations/suggestions my team has had with them. Just accept a walkthrough of the tool. It's lightyears ahead of any other comparable tool. The DemandJump Traffic Cloud gives my team the information it needs to select influencers, bloggers and other social outlets where my customers are. I can easily see with a few clicks how much traffic/sales my competitors are receiving from each and every website. It's invaluable. "They Changed our Online and Google Game!" Demand Jump Reps are available day and night for us! They can gather any and all information to boost our online visibility and help us along the way with easy explanations and new ideas all the time. Nothing to dislike about this service. You'll see results instantly. 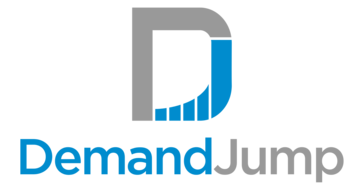 Demand Jump is helping us get into the blog market and sponsored ad space on websites. They're also helping our re-marketing tactics and overall they've given us great customer service. "Great Product with Great Insights"
The data insights it gives you as to what your competitors are doing, and what is driving traffic in your industry. What kinds of affiliate channels to focus on to drive more revenue. Demand Jumps Traffic Cloud is a great tool. The dashboard and interface are very easy to use. No real complaints about the tool, it's easy to use even for someone who is not tech savy. The dashboard and reports are extremely helpful to deep dive into our data. Nice that it pulls data all in one central location. No need to login to multiple platforms to get the data you need. No issues yet. We are still introducing the platform to our regular processes. We use the DemandJump Traffic Cloud to help us find organic placement opportunities. It is a nice way to see what our competitors are doing, and what outreach opportunities will bring us the most potential revenue. "Really helped our business go to the next level." Easy to use, outstanding people and is really driving our business. Nothing so far. We are off to a great start. They are awesome!! Our calls have been up 10X since using DJ. * We monitor all DemandJump Traffic Cloud™ reviews to prevent fraudulent reviews and keep review quality high. We do not post reviews by company employees or direct competitors. Validated reviews require the user to submit a screenshot of the product containing their user ID, in order to verify a user is an actual user of the product. Hi there! Are you looking to implement a solution like DemandJump Traffic Cloud™?